All Warrington homes currently listed for sale in Warrington as of 04/21/2019 are shown below. You can change the search criteria at any time by pressing the 'Change Search' button below. If you have any questions or you would like more information about any Warrington homes for sale or other Warrington real estate, please contact us and one of our knowledgeable Warrington REALTORS® would be pleased to assist you. 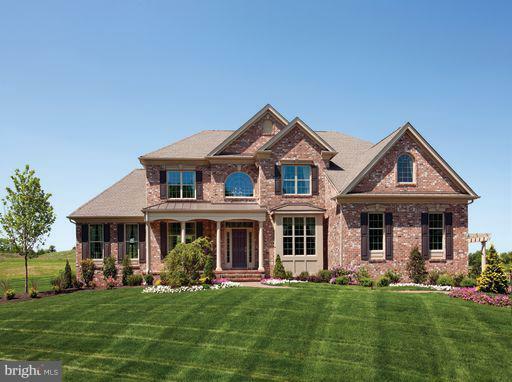 "Preserve at Murphy Lane is an enclave of 4 luxury estate homes on 1 to 3 acre wooded homesites surrounded by protected farmland, in the award-winning Central Bucks School District and just minutes to Doylestown. Now selling from an offsite location at our Greenbrier Preserve community GPS address 3559 Pickertown Rd Chalfont, PA. Open daily from 11AM-5PM. Please contact Jim Chapman at 703-930-0696 for more information. 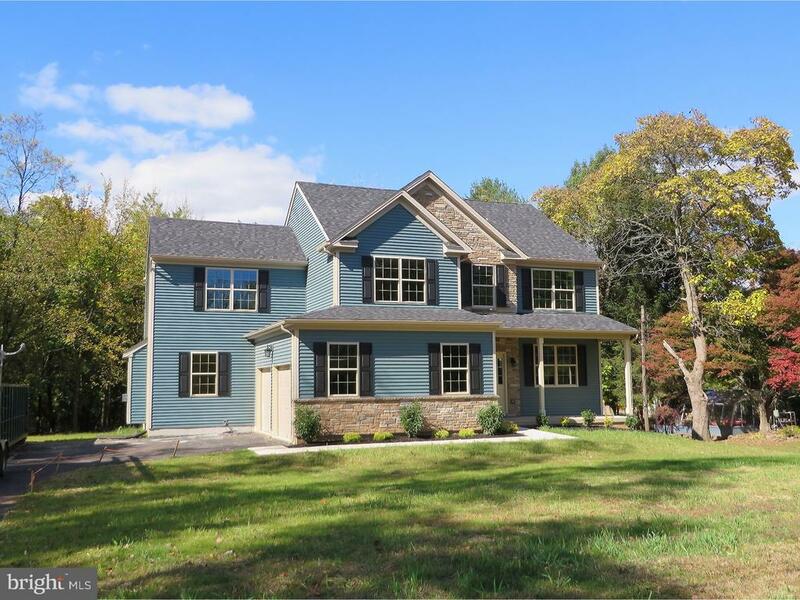 Community Address: 2934 Bristol Road, Warrington, PA"
"Preserve at Murphy Lane is an enclave of 4 luxury estate homes on 1 to 3 acre wooded homesites surrounded by protected farmland, in the award-winning Central Bucks School District and just minutes to Doylestown. Now taking appointments to view similar floor plans at an offsite location. Please contact Jim Chapman at 703-930-0696 for more information. Community Address: 2934 Bristol Road, Warrington, PA"
"Beautiful Cutler built Brick front 2 Story Colonial in the Estates of Warrington Ridge Features Formal 2 story entry with Palladian window above front door,hardwood floors that flow through to kitchen,9' ceiling T/O 1st floor, open turned staircase which opens to 2nd floor landing with crown molding.Foyer opens to formal living room with large Bay window.Living room opens to formal dining room with chair rail and crown molding.1st floor office off foyer.Gourmet Kitchen off Dining room features,Center island that seats 4, Oak Hardwood floors that flow through kitchen to foyer,Custom Solid Cherry extended cabinetry,Granite Counter tops and upgraded appliances ,Built in Wall oven and micro wave above,Gas cook top with stainless steel vented hood,separate eating with slider to deck.Kitchen opens to 2 story family room with full wall of windows on back wall and gas fireplace with marble surround and custom wood mantel,back stair case off Family Room gives you 2nd means of accessing the upper level.Master Suite with Soaring tray ceiling and custom recessed lighting, large walk in closet and separate sitting area with cathedral ceiling and Palladian window welcoming in morning light from the front of house.Luxury master bath features large walk in shower steeping corner tub and double vanities, ceramic tile floor and surround. 3 additional roomy bedrooms all with double closets.Full unfinished day lit basement.2 plus car side entry garage.large backyard." 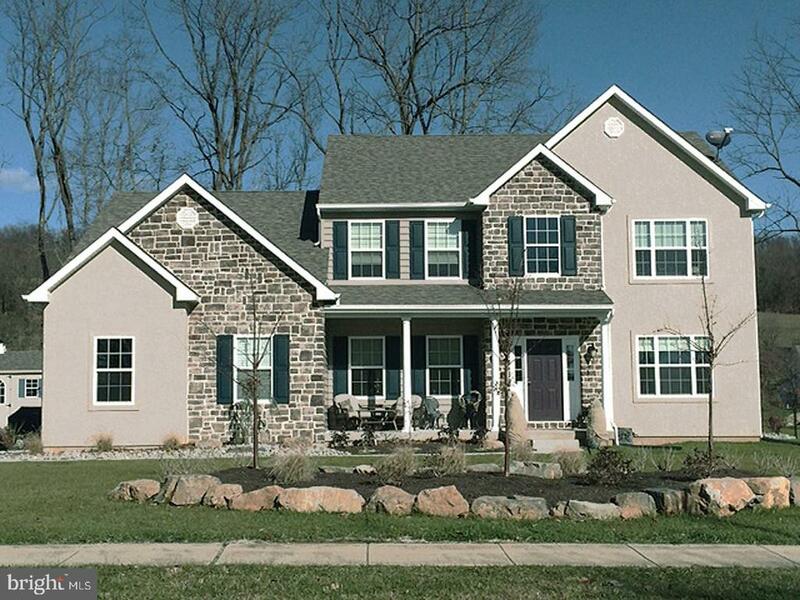 "New Custom Stone Ledge front 2-story Colonial just completed! Open 1st floor concept features gorgeous hardwood floors t/o entire 1st and 2nd floor. two-story foyer opens to living room with crown molding and custom crown molding, recessed lighting which continues into formal dining room which opens to gourmet kitchen featuring custom soft close cabinetry, custom tile back splash , granite counter tops and stainless under mount sink,upgraded LG stainless steel appliances. Kitchen opens to family room with cathedral ceiling and slider to custom Trex deck overlooking private wooded lot and full walk-out basement. Open oak stairs from 1st floor leads to 2nd floor oak landing. Spacious Master Suite with large walk-in custom closet, custom mill work and recessed lighting. Gorgeous master bath retreat with walk-in custom tile shower and seamless glass shower door, custom marble floor and custom vanity with granite counter top. 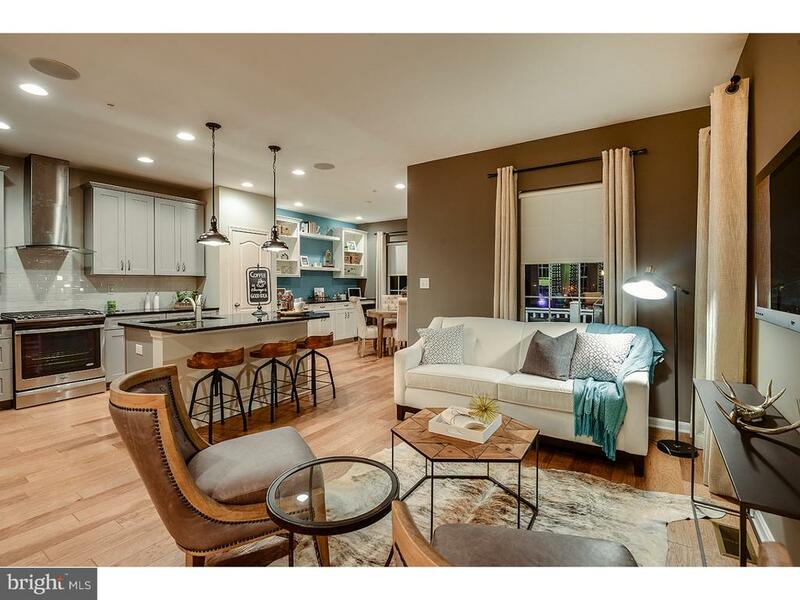 Three additional bedrooms featuring custom recessed lighting and custom doors and mill work. Convenient 2nd floor laundry room. Hall bath features custom marble floor, tub/shower combination with custom tile surround and detail accent tile, custom vanity with granite counter top. 2 Car attached garage with custom vinyl insulated garage doors with openers. Mudroom off kitchen. Full unfinished basement with sliding door to grade. Two-zoned high efficiency gas forced air, high efficiency central air.Entire structure was insulated with spray foam insulation. Separate 2 plus car detached garage! Custom front mahogany double door with glass front blue stone front porch. Custom doors and mill work throughout!" 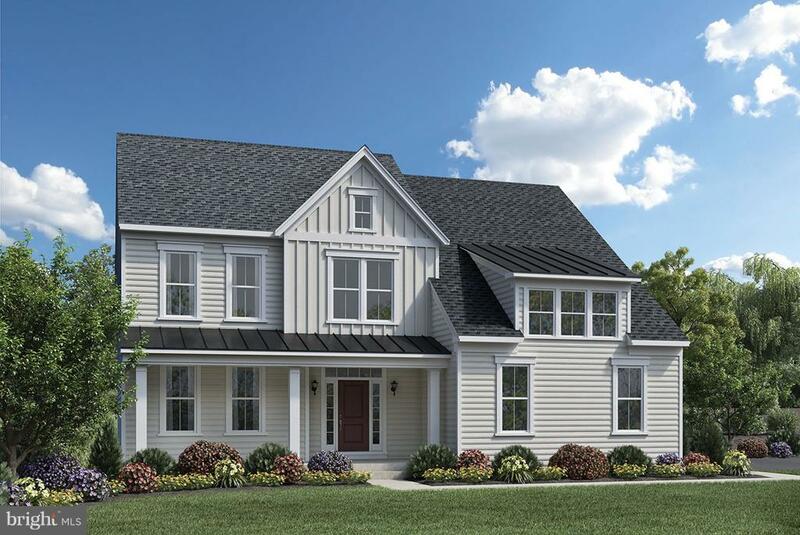 "New Construction... Set approximately 110~ back off the road, the Jamison spec home planned for Lot 2 is 3195+/-sf w/ 4 Bedrooms, 2.5 Baths & 2-Car front entry Garage and will be elegantly appointed with over $60,000 in options & upgrades including a partial stone front fa~ade, covered porch entry to 2-Sty Foyer with w/ wainscoting & crown molding, 9' ceilings on the 1st Floor & Basement and gleaming hardwood floors throughout the first floor. Study with double French doors could also be used as a formal Living Rm. The Gourmet Kitchen features a 72 custom center island w/ pendant lighting and expanded granite for casual seating for 3-5 people, 42 antique white soft close cabinetry, Granite counters, stainless steel appliances & pantry. 24~ x 17~ Family Rm features a partially vaulted ceiling and 42 gas fireplace w/ slate surround & hearth, custom trim & mantle. The Master Suite with tray ceiling, recessed light and ceiling fan includes a generously sized Sitting Rm, large walk-in closet and private bath with expanded tile shower and dual granite vanities. Sliders off Breakfast Rm provides access to the rear yard with plenty of room for your outdoor enjoyment & privacy w/ protected wooded area at the rear of property. Energy efficient Dual HVAC system and natural gas heat and thermostats on the 1st and 2nd floor. Photos shown are of a similar homes & may include options. 1 Year Builder Warranty. Lot 1 on left also available. 4 floor plans and many options to choose from: Inverness is 2600+/-sf at $549,900, Hillshire at 3000+/-sf $579,900, Jamison at 3195+/-SF at $599,900 & Aspen at 3500+/-sf $629,900. Virtual tour is of Inverness Model showing similar finishes planned for this spec home." "New Construction~ Semi-custom home nestled 80-110~ back on a partially wooded 1+/-acre lot could be ready for you to move in this Summer! 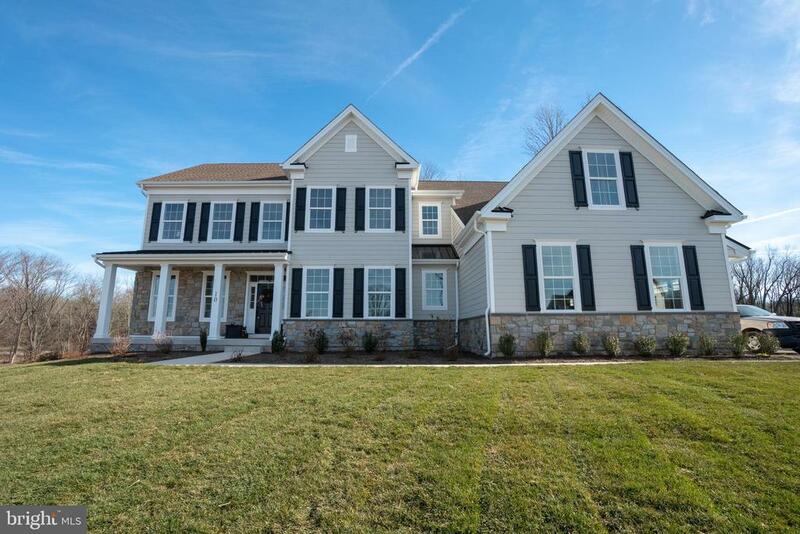 The Hillshire is 3000+/-sf w/ 4 bedrooms, 2.5 Baths, full basement, 2-1/2 Car side entry garage and front porch entry. The 1st floor boasts 9' ceilings, a 2-Sty open hardwood Foyer w/ turned staircase, LR/Office with double French doors, formal Dining Rm, gourmet Kitchen & Breakfast Rm w/ slider to the rear yard, Family Rm w/ gas Fireplace, Sun Rm or optional Office & Laundry/Mud Rm w/ access to the Garage. The center island Kitchen features recessed lighting, a partially vaulted ceiling w/ large circle-top casement window, 42 custom soft close cabinets, Granite counters, stainless steel appliances & dbl door pantry. The Master Suite includes two walk-in closets & large private bath w/ dual vanities, soaking tub & separate shower. Many options and upgrades available. Other floor plans available. (Prices listed are base price.) Inverness: 2600+/-sf at $549,900 (see MLS#PABU127454). Jamison: 3195+/-sf at $599,900, Aspen: 3500+/-sf at $629,900. 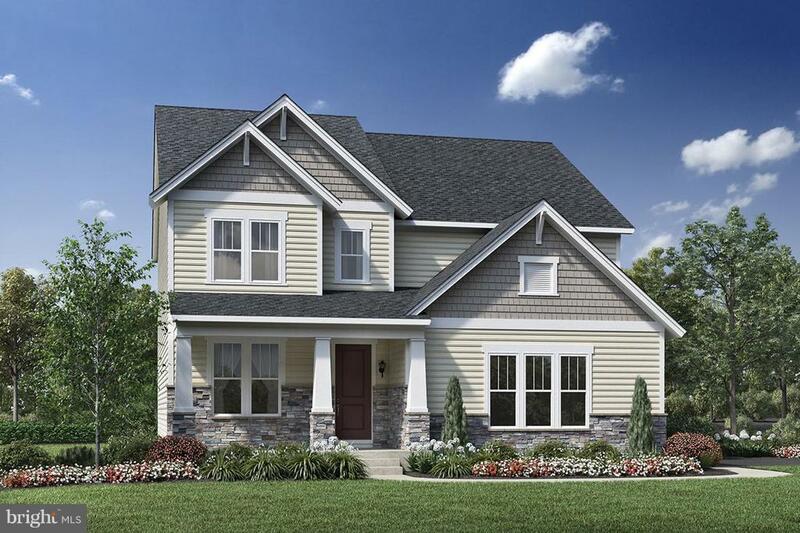 Jamison spec home planned for Lot 2 including over $60,000 in options & upgrades offered at $629,900 (See MLS#PABU463672) Public Water, Public Sewer, Central Bucks School District, No HOA. Photos are of similar homes at different locations & may include upgrades. 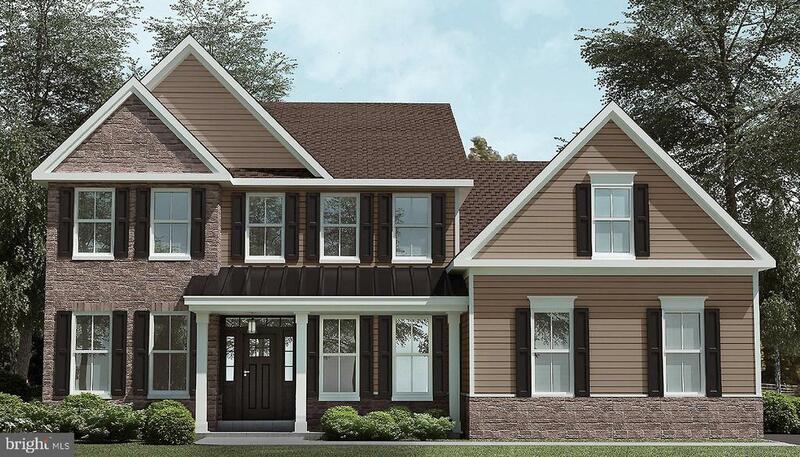 Virtual tour is of Inverness model." "New and Improved! Showings Begin Saturday, March 2nd. 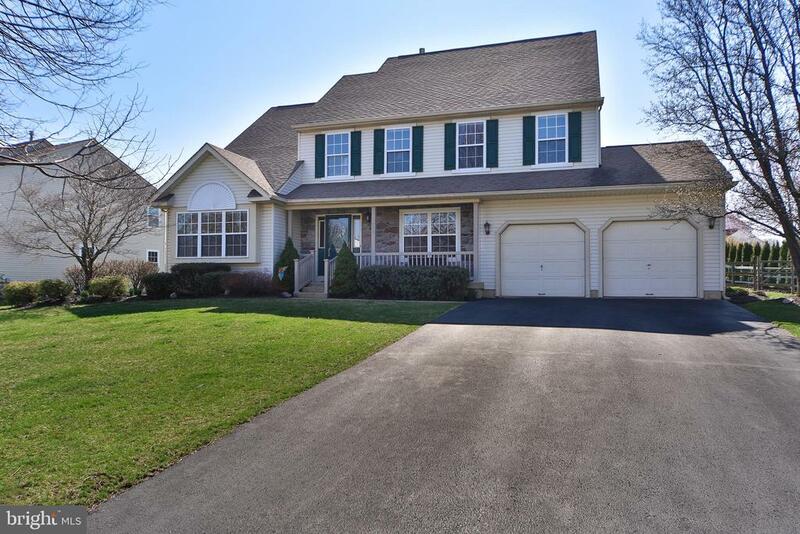 This Traditional 4 Bedroom Colonial is located on a prime lot in Warrington Hunt backing to community park, soccer fields, and wide open space. Step inside to find 2 story foyer with gleaming wide plank Brazilian Cherry Hardwood Floors that lead you through to spacious living and dining rooms. A conveniently located first floor office, laundry room and updated powder room are sure to please. Huge newer eat in kitchen(20X14) featuring granite countertops, center island, backsplash, ceramic tile flooring, and stainless steel appliances! Large open family room featuring vaulted ceilings, custom windows, and triple window sliding door. Upstairs you'll find 3 good sized bedrooms featuring new paint and carpet along with updated modern hall bathroom. Master bedroom featuring his and her walk in closets, en-suite with tub, new vanity top and newer tile in shower stall. Fantastic finished basement complete with half bath and wet bar is excellent for rec space and has room for all! Step outside and find welcoming front porch patio, huge multi-level rear deck and patios leading to wide flat yard. Replaced Roof 10/2012 w/10yr Workmanship Guarantee, replaced all windows 03/2016, hot water heater 11/2017 w/ transferable warranty, heating and air conditioning systems 07/2016 w/transferable warranty, driveway sealed 11/2016, this list goes on.. Award Winning Central Bucks School District. Fantastic location with nearby parks, golf courses, shopping and dining!" "New Construction starting at $549,900? 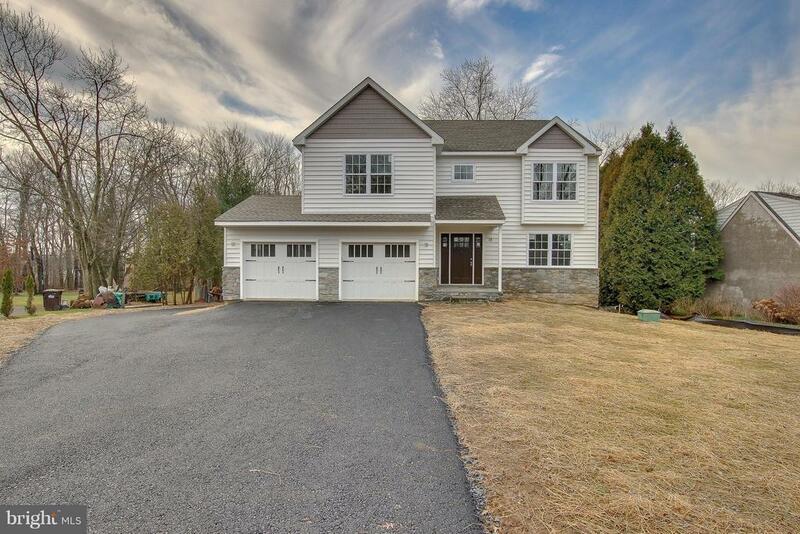 Semi-custom home nestled on a partially wooded 1+/-acre lot in Central Bucks School District could be ready for you to move in before Summer! The Inverness is 2600+/-SF, w/ 4 bedrooms, 2.5 Baths, full basement, 2 Car side entry garage, partial stone fa~ade w/ front porch entry. The 1st floor boasts 9' ceilings, a formal Living Rm, formal Dining Rm or Office, gourmet Kitchen & Breakfast Rm w/ slider to the rear yard & Family Rm with gas fireplace. The designer Kitchen w/ recessed lights features an expanded center island w/ pendant lighting for casual seating, 42 custom soft close cabinets, Granite counters, stainless steel appliances & dbl door pantry. The Master Suite includes two walk-in closets & private bath w/ dual vanity. 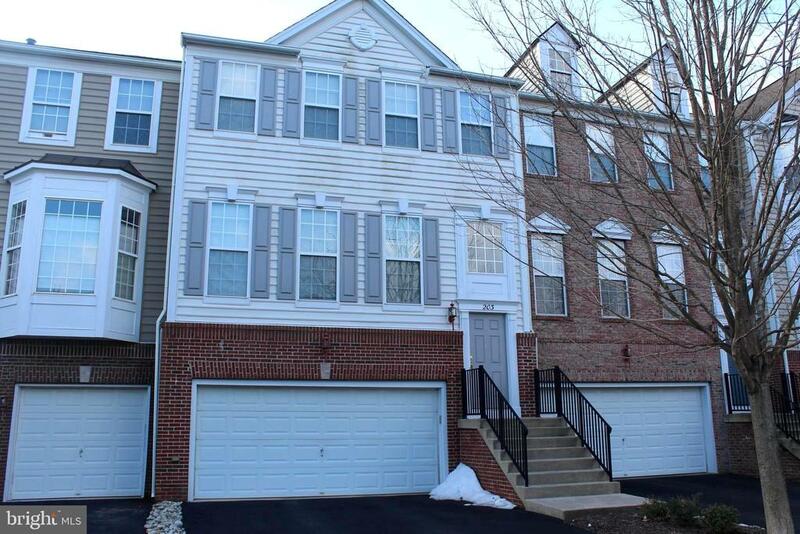 Three additional spacious bedrooms w/ large closets & convenient 2nd floor Laundry Rm complete the 2nd floor. Many options & upgrades available. Photos are of similar homes at different locations & may include upgrades. Other floor plans available: Durham at 3000+/-SF at $579,900 (see MLS PABU127456); Aspen at 3500+/-SF at $629,900 base price. Durham spec home at 3200+/-sf to be built on Lot 2 will include $80,000 in options at $639,900, (see MLS#1001489930.) No HOA. Virtual tour is of Inverness Model." "Located in the heart of the desirable Forest Glen neighborhood, this Deerbourne model on a premium lot has everything you need! Covered porch entry opens to two story foyer with tile flooring. The formal living room is bright and cheery, and has brand new neutral carpet. The dining room has new neutral carpet and chair rail. The updated kitchen has stainless steel appliances (less than one year old! ), granite counter tops, a large island with custom pendant lighting, and breakfast nook with sliders to back yard. The family room has a vaulted ceiling, neutral carpet, and gas fireplace with marble surround. The laundry/mud room and updated powder room finish up the first floor. Upstairs, the spacious master suite has neutral carpet, vaulted ceiling, and dressing area leading into walk in closet. The completely renovated (THIS YEAR) master bath has dual vanity, soaking tub, and over-sized stall shower. Three more nicely sized bedrooms with neutral carpeting share the recently updated hall bath, with granite topped vanity and custom tile shower. Downstairs the large finished basement has a fabulous recreation area with neutral carpet, recessed lighting, and Bilco doors that exit into the fenced yard! The basement also has a good sized storage area. This home has been lovingly updated and maintained through the years, and is move in ready!!! SHOWINGS BEGIN AT OPEN HOUSE ON 4/7/19!" 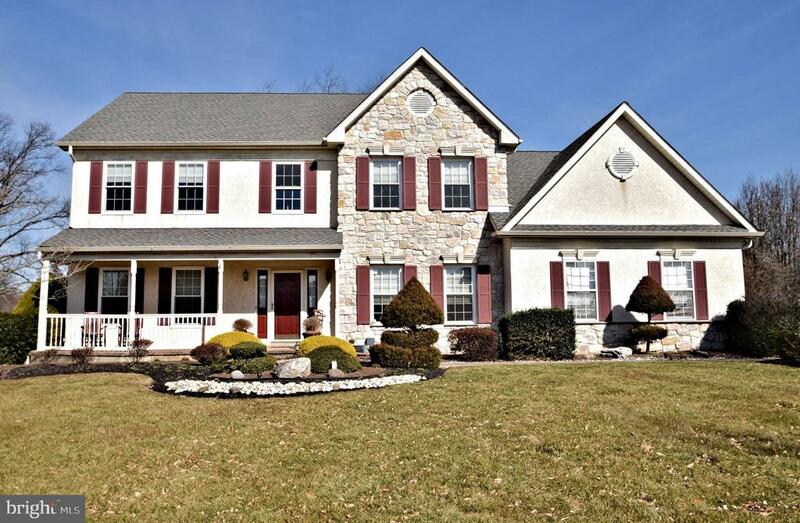 "Custom built stone and stucco 2-sty colonial with in-law suite. Beautiful front porch features slate pavers. 2-sty foyer with tile floor opens to living room with hardwood floors which flow into formal dining room. Dining room open to eat-in kitchen with cathedral maple style cabinets. Custom granite counter tops,under mount ss sink,Stainless steel appliances, gas stainless steel 5-burner range with overhead microwave, stainless steel dishwasher. Center island with seating for three. Large pantry, convenient laundry off of kitchen. Hardwood floor continue into eating area with double french doors to landing Gorgeous view of private backyard. Eating area opens to family room with oak hardwood floors. Stone fireplace set up for wood burning. Upper level features yellow pine staircase to open landing with spindles. Master suite with wall-to-wall carpeting. Luxury bath with jetted tub and separate one piece shower. Ceramic tile floor, double light oak vanity with granite counter tops. Two large walk-in closets off of master bath. Three additional roomy bedroom all with wall-to-wall carpeting, ceiling fans and double closets. Hall bathroom with ceramic tile floor, granite counter tops; tub/shower combination. Lower level basement complete with Permitted in-law suite! Features kitchen with gas range and eating area. Living room/bedroom combination with outside exit to grade level. Full bathroom with Neo Angle shower and single vanity. Additional room remains for storage.Large double lot"
"Things are warming up outside at Maple Knoll! Put yourself in these pictures. Hardscaped covered pillared front porch in a cul -de-sac. Large fenced backyard with paver patio and 3 season room overlooking the yard. 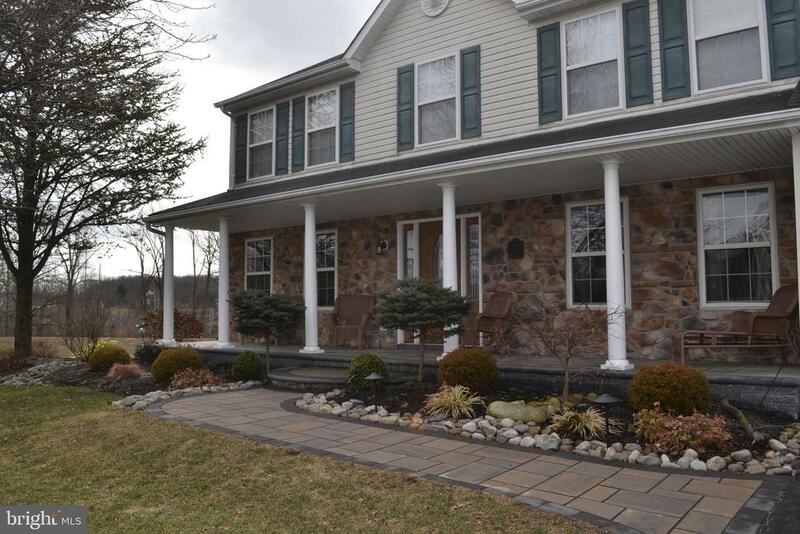 If you like to entertain check out this great Warrington single 4 bed 2.5 bath on a large lot. Showing this home will not dissapoint. Want Central Bucks schools? You can't do better location wise. Maple Knoll students can walk to Mill Creek Elem and to CB South HS. Home offers an open floor plan with formal dining room and family room. Large finished basement. Amazing front porch with columns and back patio. Home is super clean and has brand new carpets throughout on all levels. Kitchen has been remodeled and has hardwood floors, high hat lighting, and granite countertops. Kitchen sliding door leads to paver back patio. The living room is immediately off the kitchen it has a fireplace. Double doors open to a 3 season room with window surrounds, electric fireplace, and flat screen TV. Laundry room/ mudroom has ceramic flooring with access to the garage and has an updated powder room. 2nd floor has 4 large bedrooms. Master bedroom has a vaulted ceiling and walk in closet. Master bath has ceramic flooring and tiled bath surround. Both full baths have been refinished and have brand new faucets and fixtures. Full finished basement with lots of open space and tons of storage. Property is professionally landscaped and will look amazing in the spring. Large fenced backyard with paver patio for family enjoyment and gatherings. Local amentities include minutes drive to PA turnpike and Route 309. Shopping includes Wegmans, Warrington Square, and more than a dozen places to eat. Check out this home, you'll be glad you scheduled the showing." 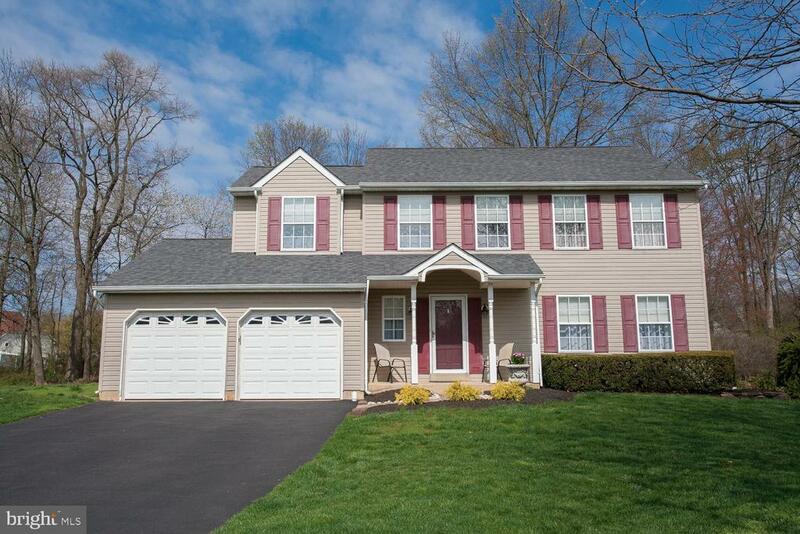 "Lovingly maintained two-story colonial located in desirable cul-de-sac! Main hallway welcomes you with hardwood flooring. Spacious living room and adjacent formal dining room with wainscoting is perfect for family gatherings. Kitchen boasts granite countertops and newer stainless-steel appliances. While natural light abounds throughout the home, the breakfast nook is especially sunny to start your day right! The open floor plan continues into the family room, with laundry room and powder room completing the first floor. Upstairs, large master bedroom with cathedral ceiling has adjoining walk-in closet and master bath with soaking tub to relax. There are three additional upstairs bedrooms and a hallway bath; keep an eye open for the working model train shelf skirting the perimeter of one of the bedroom ceilings! Basement has high ceilings to accommodate use of your exercise equipment. Two-car garage with storage shelving and the over-sized driveway provide ample off-street parking. Butterfly garden and expansive perennial beds spring to life with warming weather, attracting goldfinches, hummingbirds and butterflies (of course!) Open backyard, complete with swing set and firepit, makes it easy to enjoy the outdoors. Patio with retractable awning provides shade for spectators. Home has brand new windows throughout, newer heater/AC (2012) and newer roof (2010). 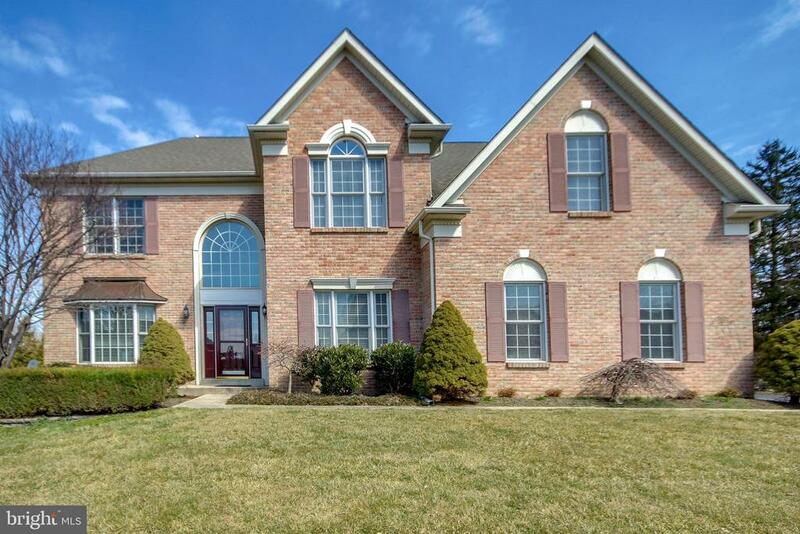 It is located in award-winning Central Bucks School District, conveniently near major roadways for easy commuting. Minutes to either downtown Doylestown or Valley Square, offering great restaurants and shopping. This home is a must-see!" 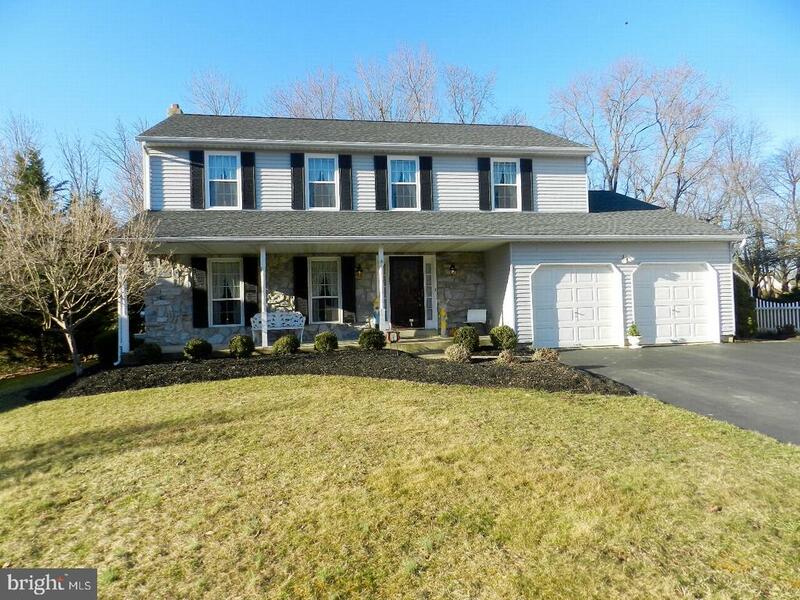 "Meticulously cared for 4 bedroom colonial in the Hidden Pond neighborhood in Warrington. The home sits on a well manicured, extra wide lot with plenty of grass and open space. The interior and exterior have been lovingly maintained for and kept immaculately clean. This traditional colonial layout also has a large kitchen dining area in addition to the formal dining room plus a stylishly remodeled first floor powder room. The kitchen also opens to the expansive family room, which leads to the 2 garage, the large laundry room, and the rear patio with privacy enclosures. Downstairs find an expansive finished basement and an enormous storage/workshop area. The second floor boasts 4 large bedrooms with ample closet space, including the master suite with newly upgraded bathroom and walk-in closet. Ceiling fans have been installed in every bedroom, plus the entire house is comforted with a well-maintained central air conditioning system. The award winning Upper Bucks school district speaks for itself plus a myriad of shopping and dining options within minutes. The next owner of this house will enjoy peace of mind for many years knowing they made a wise investment. Schedule your showing today!" "This stunning Golf course view will become your favorite spot each and every day. 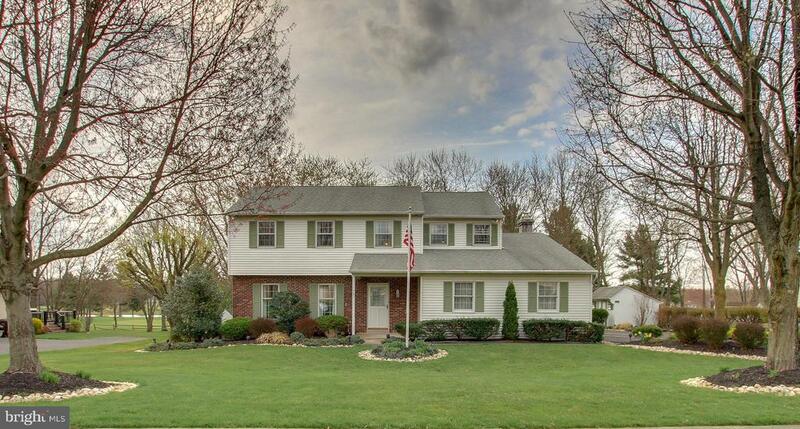 This traditional Bucks County Colonial is situated on a perfectly manicured, professionally landscaped lot. Offering a formal living room and dining room for entertaining. The kitchen opens to the beautiful sunroom overlooking your very own park setting back yard. The spacious family room includes a brick fireplace with gas log insert. The powder room and large laundry room complete the first floor and provide access to the oversized 2 car garage. Upstairs includes an Owners bedroom with large walk-in closet and an owners bath with updated tile shower. Three additional bedrooms offer plenty of space and closet storage. The lower level has been finished into a large entertainment/game room with full sized bar for serving food and beverages. The outside exit through the bilco doors provides easy access to the yard.All located on a .57 acre lot in the beautiful Fairways community. Central Bucks Schools. Wonderful shopping at Wegmans, Valley Square and short drives to Doylestown and New Hope. 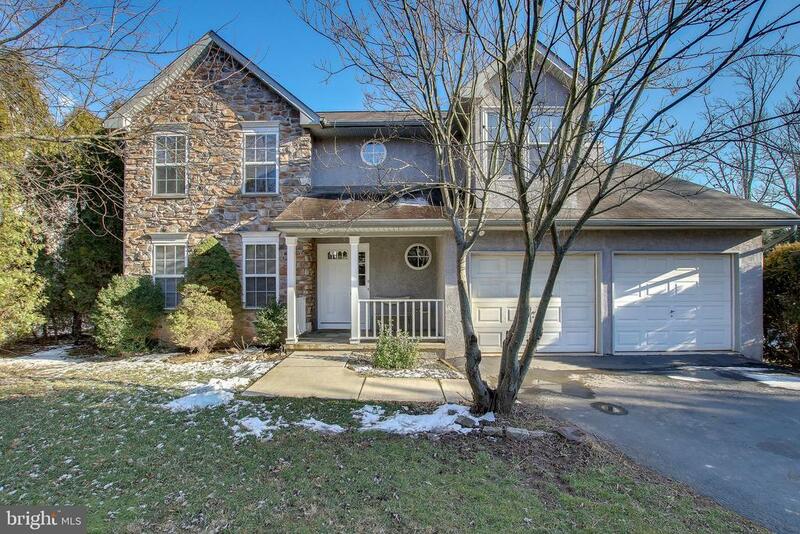 Convenient location for commuting to Rt 309 & 202 and the PA Turnpike. Property has a whole house generator and an exterior lawn sprinkler system." 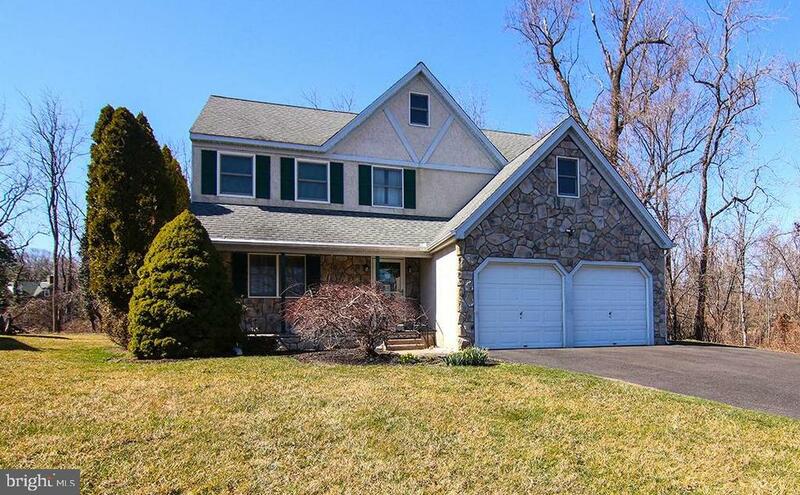 "Do not miss this nicely maintained 4Br 2.5Ba home with terrific curb appeal in Central Bucks School District. Brand NEW upstairs carpet (2019), NEW upstairs windows (2018) and NEW furnace (2017) are already done for you. PLUS a huge walk-up attic with lots of potential for living space and storage. Situated next to a large nursery, the landscaped lot with a wonderful private wooded backyard offers lovely views from the large deck. Enter from the covered porch into the hardwood foyer with a formal living room to the left. The spacious dining room opens to the kitchen with breakfast area with tongue and groove cathedral ceiling and a skylight. There is plenty of storage with beautiful wood cabinets and a pantry. The granite countertops are accented by a tasteful tumbled marble backsplash. Owners replaced the refrigerator in 2016. The breakfast bar, also granite, opens to the breakfast room and family room. Gleaming hardwood floors continue from the foyer and family room through to the kitchen and dining room. There is access to the large deck from the breakfast room and family room. Upstairs, you'll find the master bedroom suite with two walk-in closets and a large master bath with double vanity, inviting window seat and large shower. The hall bath serves the other three bedrooms, all nicely sized. A bonus room off one the bedrooms is perfect for a playroom, gaming room, study or a dream closet! A rare walk-up attic with awesome storage is accessed from the hallway. Walking distance to a park and located just minutes from dining, shopping, parks and major roads make this home a winner." "Warrington rancher on acreage. Large rec room with side entrance. Eat in kitchen. Living room with stone fireplace. Tenant occupied. Two car garage. Possible subdivision with lots of frontage, check with township." "This home has it all!~ Over 67K in upgrades including: 3 story sunroom extension, hardwood steps, 5 hardwood first floor,~3 piece plumbing rough in~FINISHED lower level with recessed lights,~recessed lights in kitchen, owners bedroom and great room,~Upgraded cushion close cabinets in Kitchen and Baths in a shaker style in a Gray/Taupe color with a level #2 granite Moon White and an 8x10 composite deck!~ We are down to our final~2 homes in the community!" "This home has it all!~ Over 54K in upgrades including: 3 story sunroom extension, Alternate First floor plan, 5 hardwood first floor,~3 piece plumbing rough in~FINISHED lower level with recessed lights,~recessed lights in kitchen, owners bedroom and great room,~Upgraded cushion close cabinets in Kitchen and Baths in a shaker style with~granite tops, ~8x10 composite deck!~ We are down to our final~2 homes in the community!" "Rarely offered townhome in Warrington Station! Beautiful Pulte built Tyler Model offers spacious rooms flooded with natural light and a great location. This home sits on a premium lot that backs to a tree line. Formal living and dining areas with hardwood floors, crown molding, brass chandelier and 9' Ceilings. KIT w/Brkfst Nook, GE Appliances, HW flrs, Elegant 42 Cabinets,recessed lighting, pantry & slider to deck. Family Room with gas fireplace & powder rm make 1st floor complete. Above are 3 spacious bedrooms, 2 full baths and laundry rm including an opulent master suite with walk in closet and architectural ceiling, Raised platform soaking tub and separate shower in Master Bath. Lower level includes Fantastic large finished walk-out basement with 4th Bedroom, full bath, berber carpets, recessed lighting, large storage closet; oversized two-car garage which has extra storage area. . Close to major highways and shopping. Central Bucks School District. Walk to Valley Square shopping Center and Wegmans. 203 Hilltop Court has so much to offer and will not last! Schedule your showing today! Owner is licensed Pa. Real Estate Agent." "Bright and Beautiful townhouse in rarely offered Warrington Station located in Central Bucks Schools. Gracious long windows stream brilliant sunlight into every room in this amazingly spacious 3 story townhouse. Luxurious open floor plan, formal living/dining rooms, chefs kitchen with plenty of cabinet space, granite tops, breakfast area that leads to large deck off the back of the home. Open gathering room with gas fireplace with large windows along the wall. Master Suite with tray ceiling walk-in closet, spa bathroom with whirlpool tub, large shower and water closet. Two additional bedrooms, laundry room and hall bathroom finish the upper level. Lower level finished nicely with walk-out sliding glass doors, powder room and large room for entertaining. In addition, there's a two car garage, utility area, gas heat and central air in this uptown home. Conveniently located with easy access to train and turnpike. 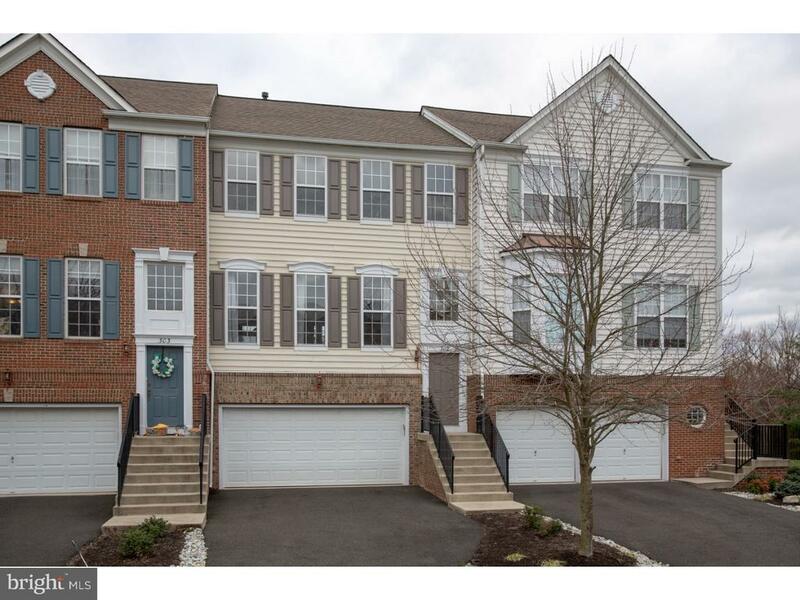 Walk to Valley Square shopping Center and Wegman's is an added bonus to this home."